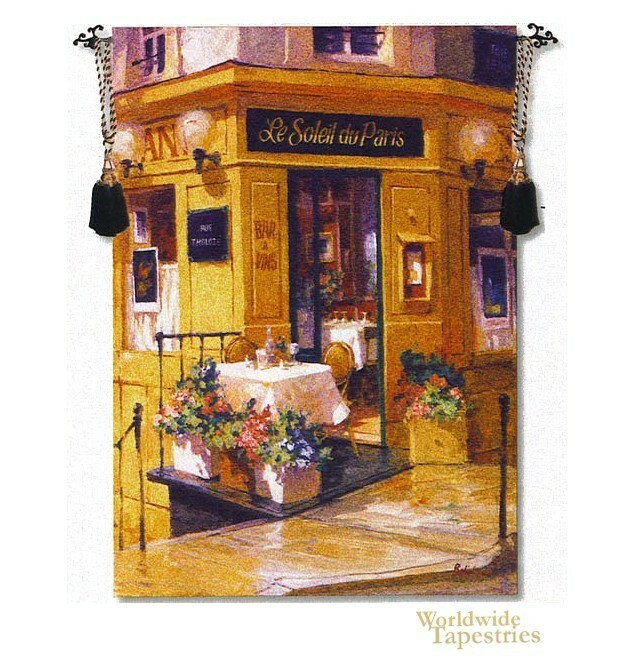 This wall hanging “La Petite Terrasse” shows a charming Parisian cafe. The charms of the city of Paris is evident here with the gorgeous architecture, the flowers and the tables on the pavement. The golden color palette gives this piece a feeling of warmth. This tapestry “La Petite Terrasse” is lined and has a tunnel for easy hanging. Note: tapestry rods and tassels, where pictured, are not included in the price.